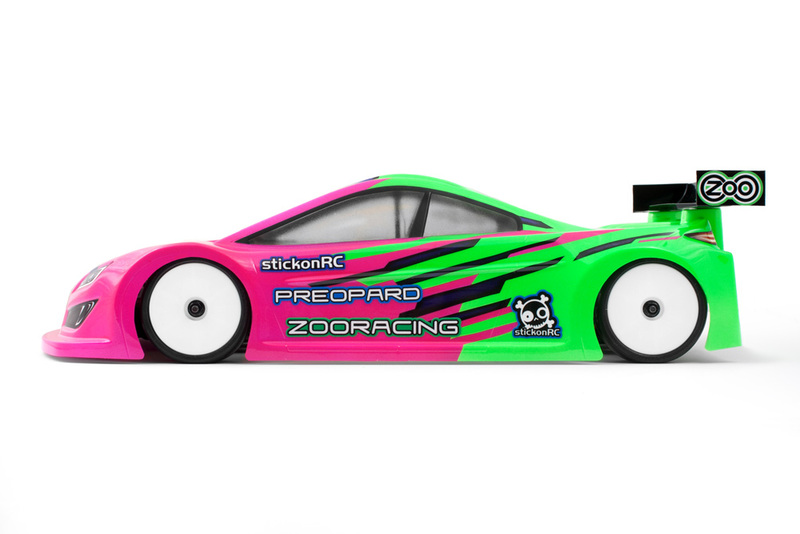 Following an impressive result in the ETS stock class in Vienna, ZooRacing have officially released their new PreoPard racing body. 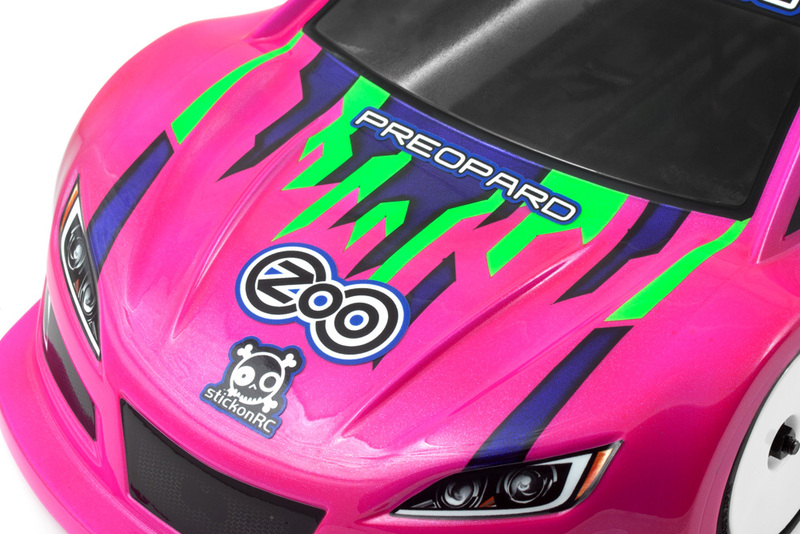 ZooRacing are relatively new to the scene but they are already making an impact. The new shell has some great new features and I hope to try it out at the track soon. Here are some photos and the product info. 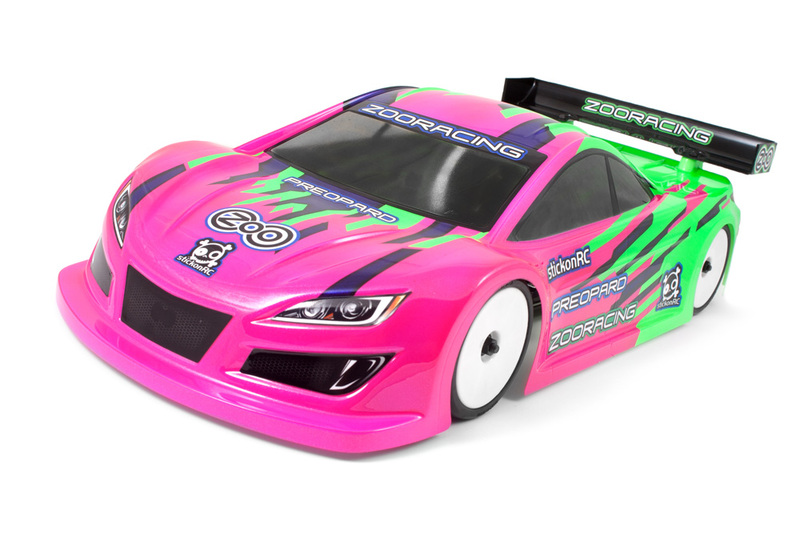 RC-KleinKram from Germany are pleased to announce their new ZooRacing Performance Bodies brand ZooRacing. 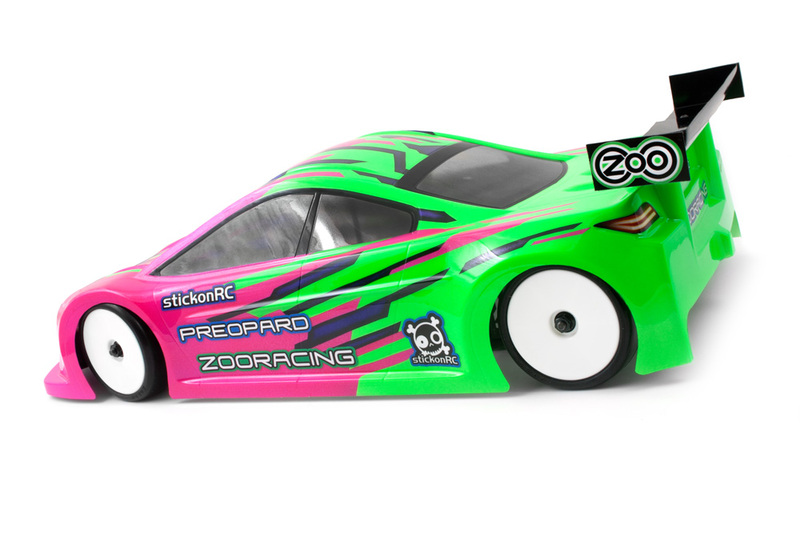 The brainchild of RC-KleinKram founder Stefan Klein, ZooRacing is setting sails to becoming the new benchmark in body shell design. 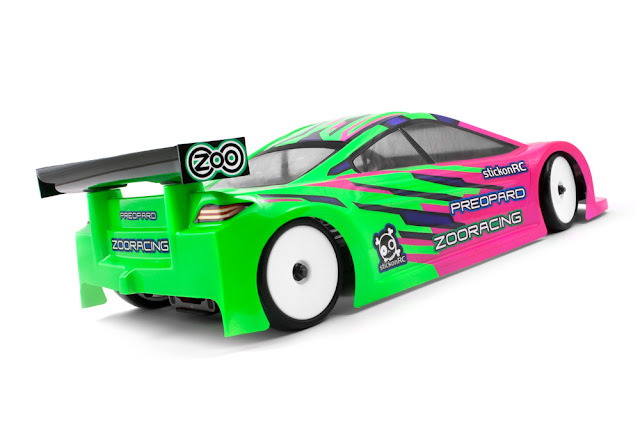 Designed in Germany using the latest 3D CAD software, ZooRacing bodies will set themselves apart from the norm. Never-seen-before features combine with visually appealing designs, resulting in high performance competition body shells that offer the best possible combination of unparalleled performance, creative ideas, cool looks and practical detail solutions, all of which will make prepping and using the bodies a lot easier, more convenient and fun. 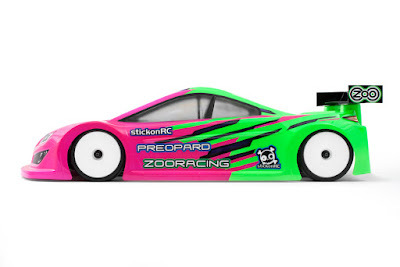 The second body to hit stores is the PreoPard 190mm touring car body shell. More electric touring car bodies as well as a host of other lids will follow soon. 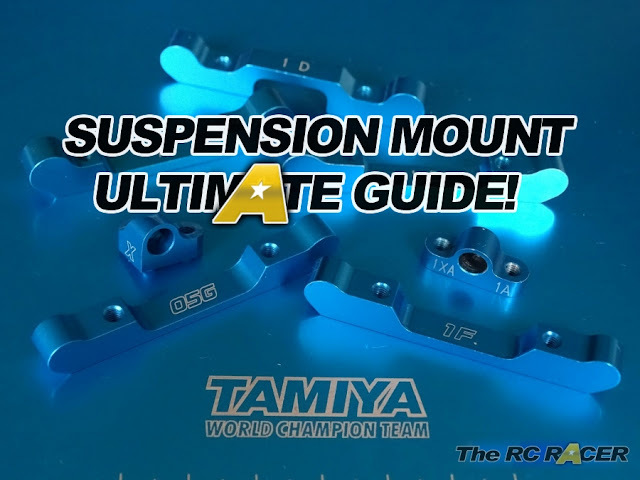 Other hot features include large wheel arches that allow the body to be placed up to 4mm to the front for increased steering reaction or up to 4mm to the back for increased rear stability – making it 8mm in total. All this can be done without having to fear tire rubs or unsightly cut out wheel wells. The body, designed using the latest CAD techniques also features a 100mm grid for the rear body mounts, ensuring highly precise body placement and mounting. The PreoPard 190mm body shell comes molded from high-quality polycarbonate and it is available in two thicknesses: a lightweight 0.5mm variant that will weigh in at 55g cut and including wing while the standard thickness 0.7mm variant will come out at 83g cut and including wing - meaning the latter will easily make the new 90g ETS rule. Part of the package are also the revolutionary 2-step window masks that will ensure window frames of Pro quality. In a first step all windows are masked using the Step 1 masks. After the painting of the body is completed, the masks will be removed and replaced by the slightly smaller Step 2 masks that leave the window frames exposed and ready to be painted in your favourite color. The result is highly precise without the need to pre-cut or in-body-cut the window masks, ensuring greater satisfaction and less chances of creating predetermined breaking points. 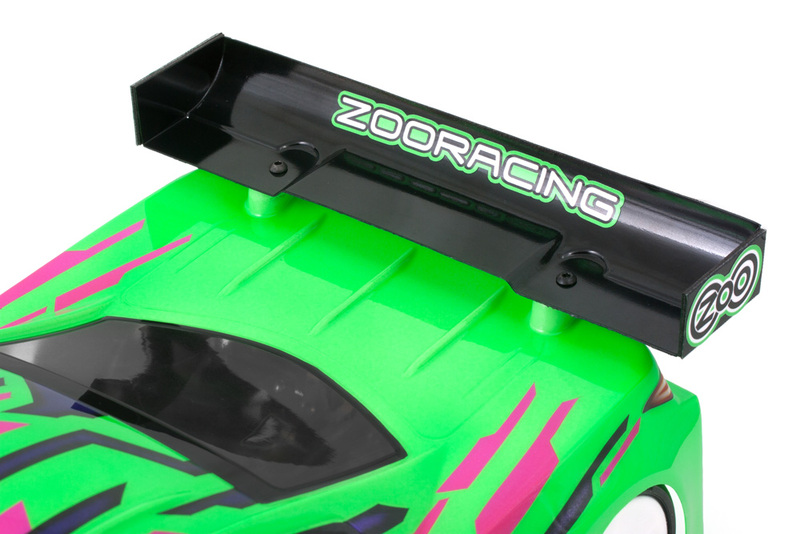 The body package is rounded out by high-quality wing mounting hardware and a detailed sticker sheet including grille, head and tail lights.